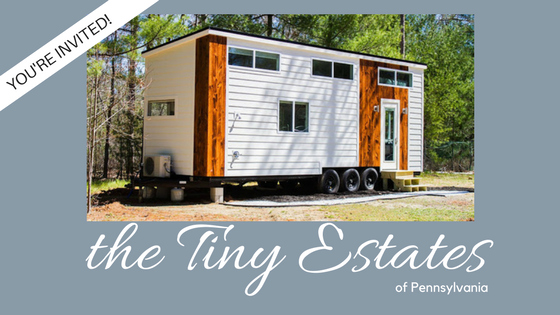 Pennsylvania' most prominent tiny house builder, Liberation Tiny Homes, has just announced an exciting new in development: a tiny house resort named Tiny Estates! Liberation has been working with a local developer in Elizabethtown, Pennsylvania, to transform a local campground into a brand new tiny house village with 100 homes. The first phase of the project will see the construction of the houses, followed by phase 2 which will see the addition of several amenities, concluding a pool, two ponds with beaches, a restaurant, rock climbing wall, and a pool, to name a few! You can start placing reservations for a tiny home as soon as February 2018 and Tiny Estates opens in April of 2018! Be sure to check out the video below for a sneak peek! If you can't wait till April, then check out the Egg Harbor beach house here, built and offered for rent from Liberation Tiny Homes!